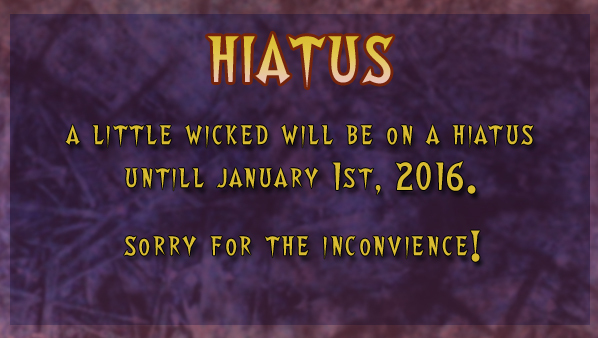 So unfortunately, I must announce a brief hiatus for A Little Wicked. Due to schoolwork, day job and other events occurring, I am unable at the moment to keep up with the update schedule I would like, with the quality I feel would be acceptable. 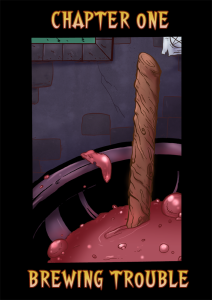 So, I am aiming to take a brief two month hiatus to work on a buffer and then chapter 3 will start on the 1st. Thank you for your patience!